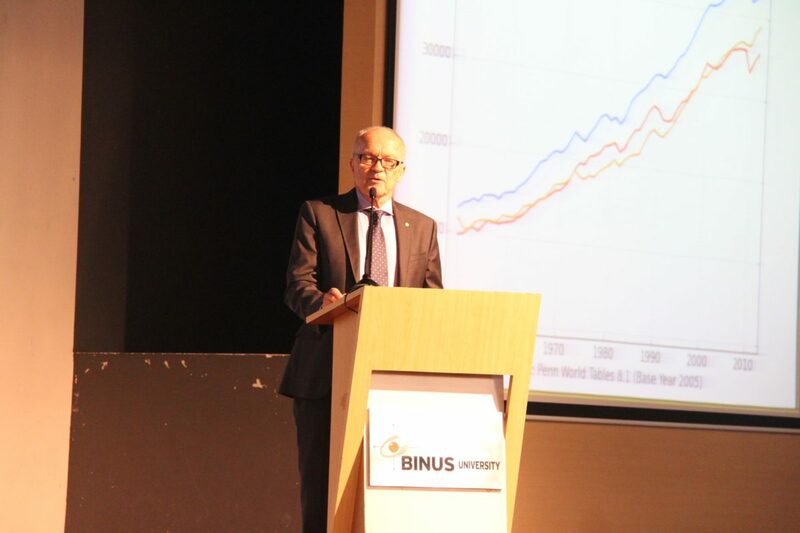 BINUS UNIVERSITY hosted the “Consistent Economic Policy and Economic Development” forum with Prof. Finn Erling Kydland, a Norwegian economist who was a co-recipient of the 2004 Nobel Prize in Economics for his ‘contributions to dynamic macroeconomics: the time consistency of economic policy and the driving forces behind business cycles’. The event was a part of the 7th ASEAN event series “Bridges – Dialogues towards a Culture of Peace”, managed by the International Peace Foundation. Through its Bridges program, the foundation aims to provide support initiatives that promote development and peace. The International Peace Foundation has since 2003 presented “Bridges” events across the ASEAN in countries such as Thailand, the Philippines, Malaysia, Cambodia, Vietnam, and Singapore. 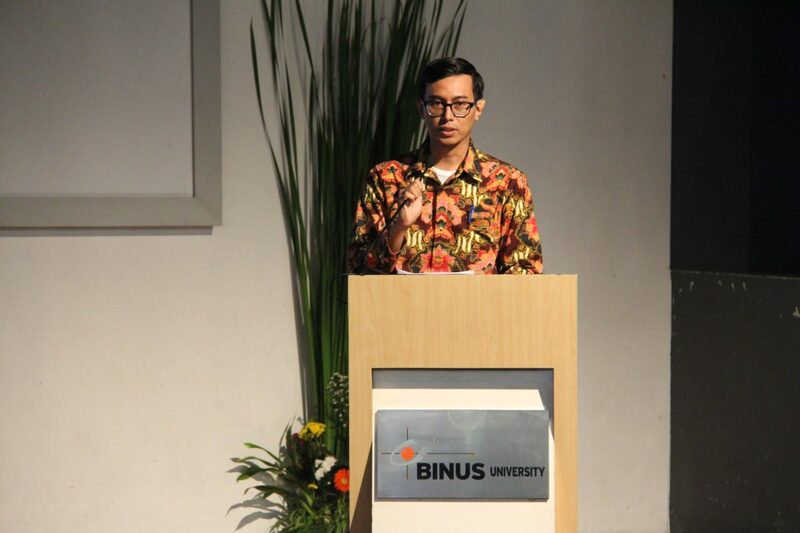 In serving as one of the partner institutions for the 7th ASEAN event series, BINUS UNIVERSITY had the honor of playing an integral role in welcoming the “Bridges” program to Indonesia for the 2nd time. 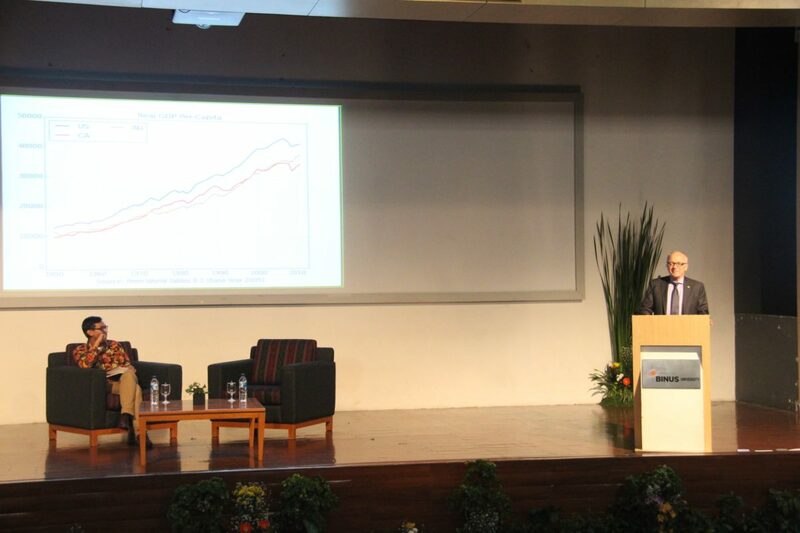 Professor Kydland delivered a keynote speech titled “Consistent Economic Policy and Economic Development” which focuses on the issue of time inconsistency in optimizing government policies. This centered around the idea that governments need to make credible commitments to good economic policies for the country to benefit long-term. In order to achieve this, governments need to assess factors such as innovation, productivity levels, infrastructure, foreign direct investments, and tax among many others. 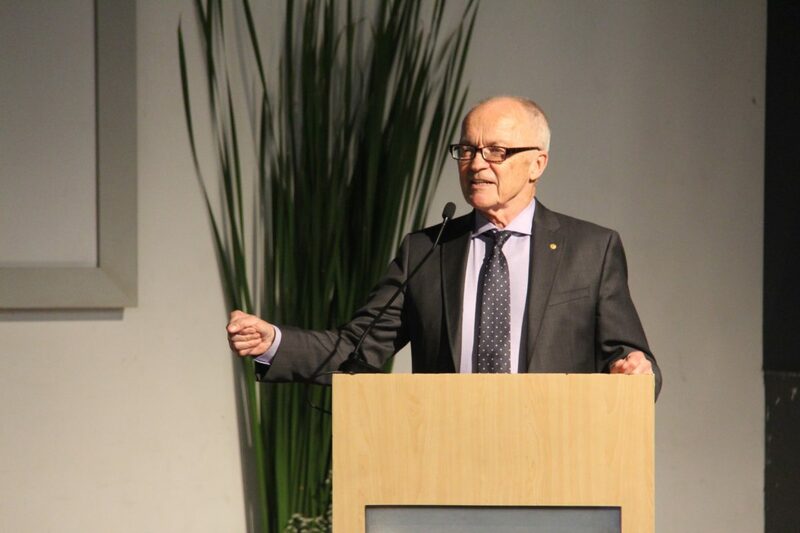 Having the right economic policy can improve trade nationally and internationally and improve the well-being of citizens. 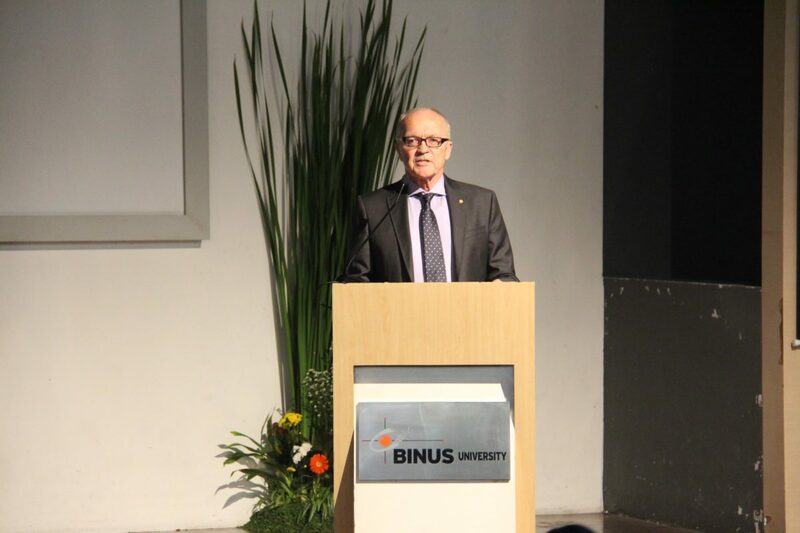 Through its continued internationalization and commitment to “fostering and empowering”, this latest event by BINUS UNIVERSITY was part of the institution’s efforts to equip its students from Indonesia and overseas with the global perspectives and influence them to become solution providers to strengthen the region’s endeavor to sustainably develop. Contribution to efforts aimed at ensuring stability in Indonesia’s and ASEAN economic development will bring together different stakeholders in the government, industry and the education sector.